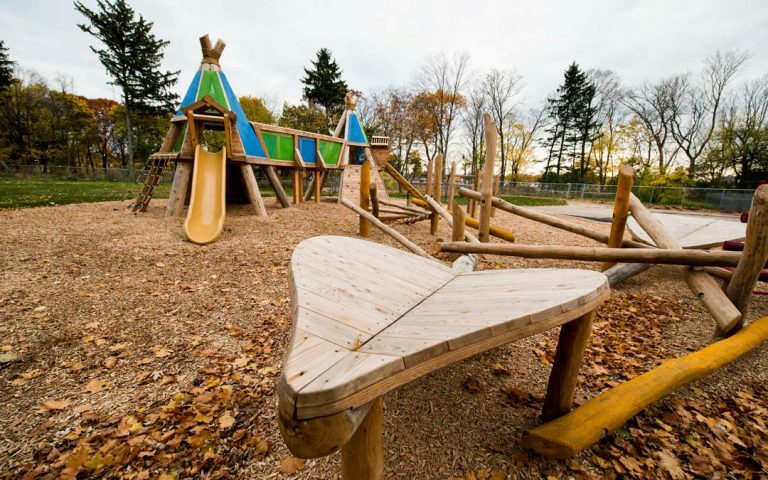 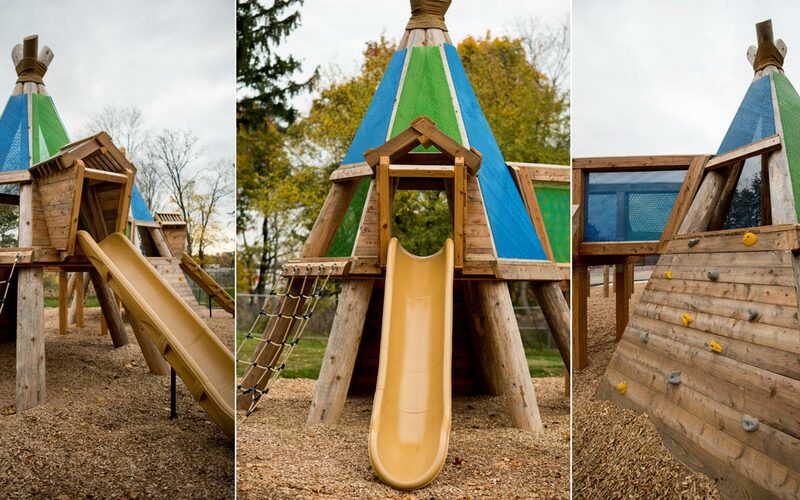 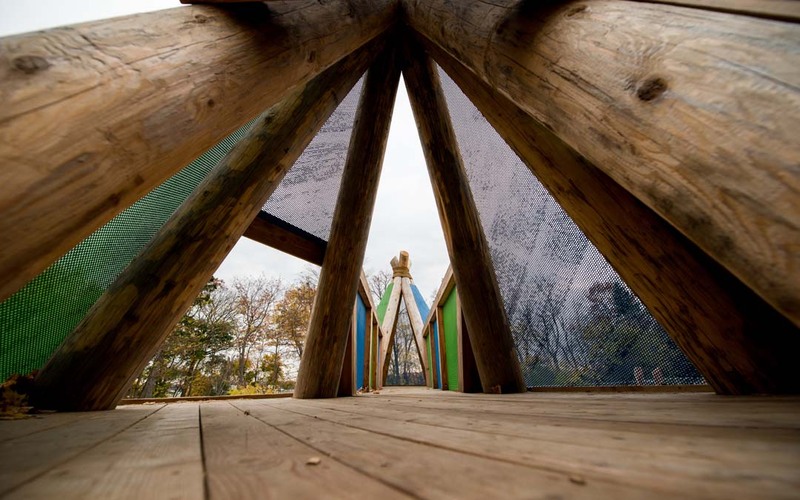 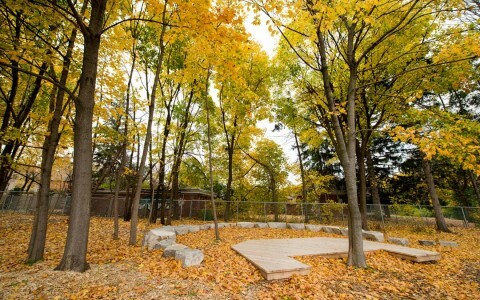 This new Catholic elementary school in mid-town Toronto wanted a natural playground that would offer opportunities for children to challenge themselves but also find space for quiet reflection. 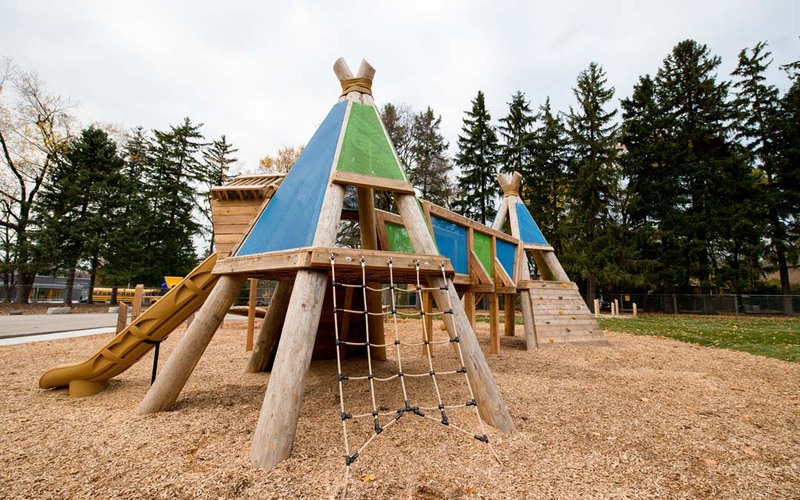 Set amongst mature trees, the connected teepee tower structure has several access points with varying levels of difficulty. 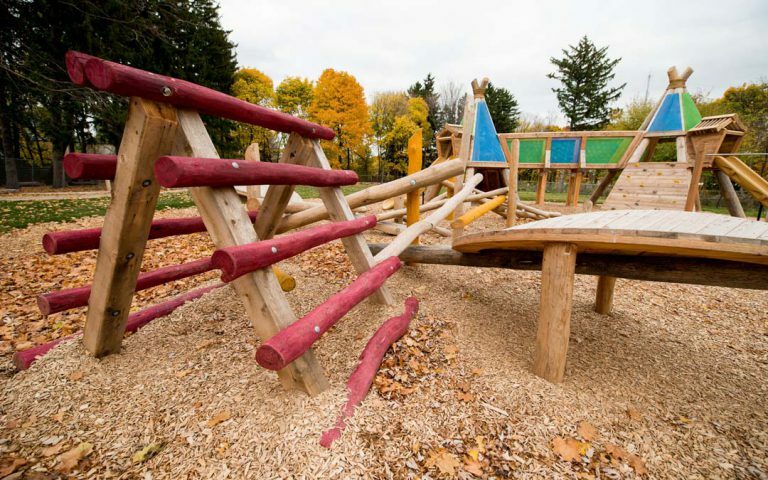 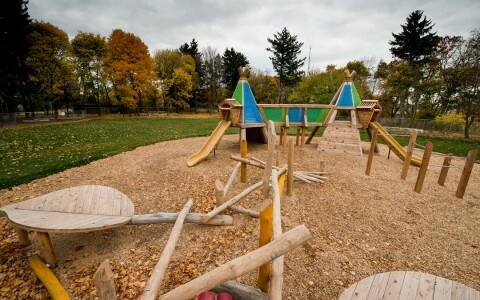 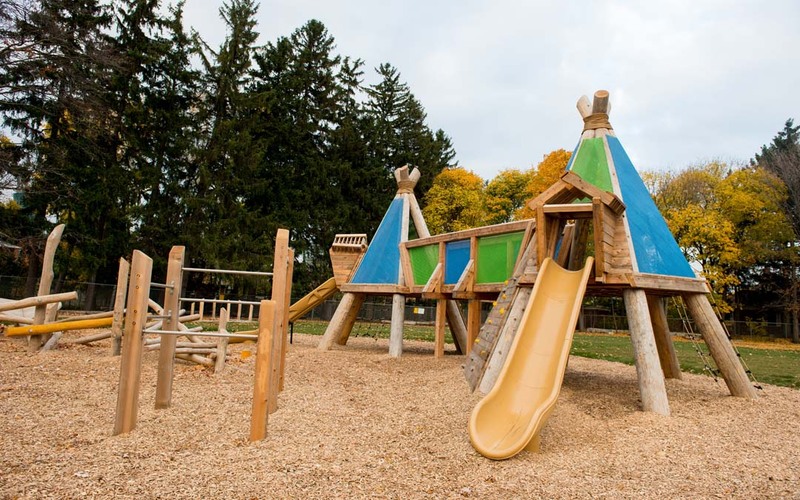 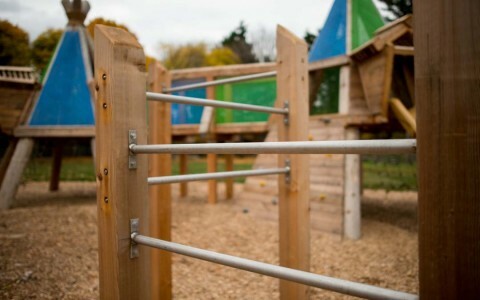 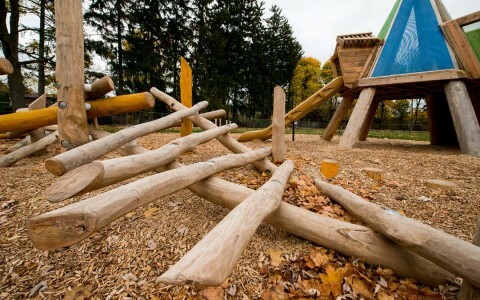 The log jam gives kids a chance to develop skills of balance and agility while they negotiate the beams connecting the leaf platforms. 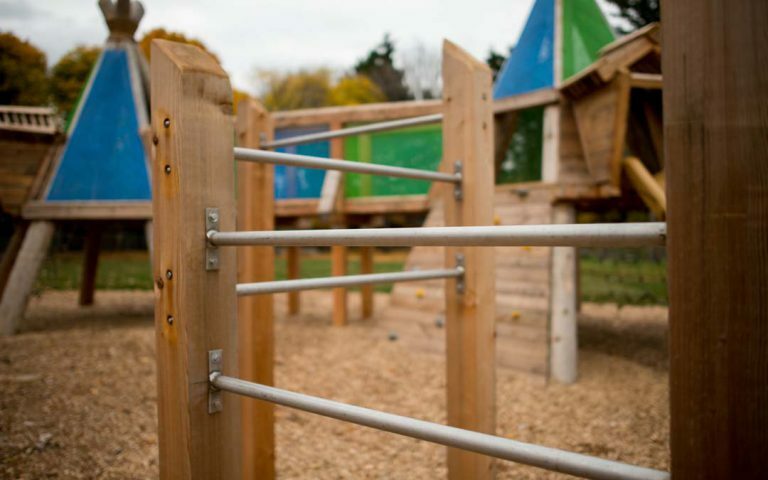 Monkey bars entice kids to hang upside-down while an outdoor classroom space and sand pit are spaces for children to socialize, learn and create.